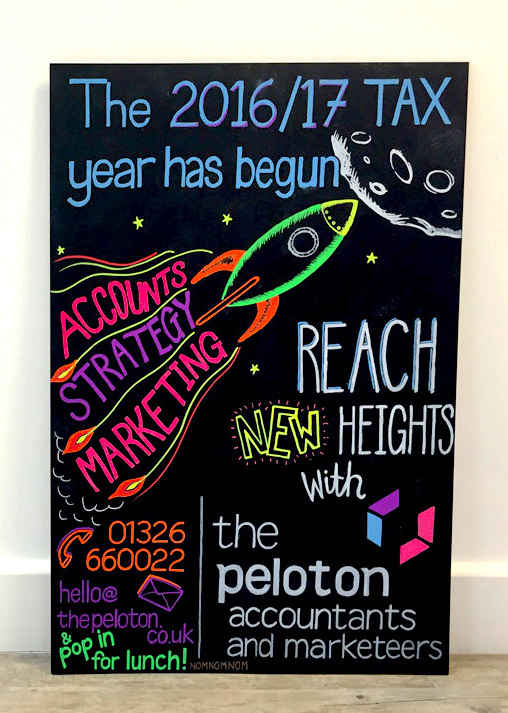 As you may or may not know, we’re a big fan of the humble chalkboard at The Peloton, you can see more of our back catalogue here. With the new tax year underway it’s a great chance to think about whether your accountant is giving you all the information you need to run a great business. With experience in the chiropractic and dental industries and a penchant for local business we are always looking to connect with new businesses and motivated people. If you like the look of the way we work, then give us a call to join us for lunch or coffee, then we can chat about how our services will help you reach new heights with your business.